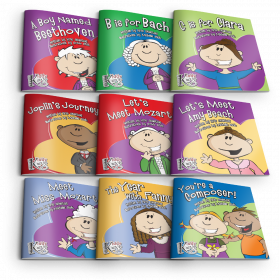 This series of nine 30-minute lesson plans will guide you through exploring the lives of Johann Bach, Nannerl Mozart, Wolfgang Mozart, Ludwig van Beethoven, Fanny Mendelssohn, Clara Schumann, Amy Beach, Scott Joplin, and your student. This set is engaging, educational, and designed to inspire your budding musicians. 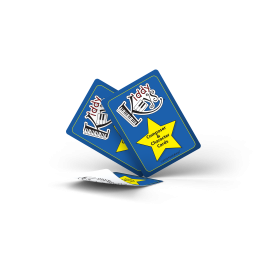 Ages 2.5–5. 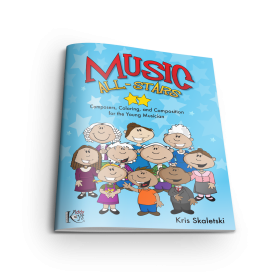 Receive special package pricing (below) when you purchase both the Composer Storybook Combo Pack (9 books) plus the Composer Series Lesson Plans and Worksheets. 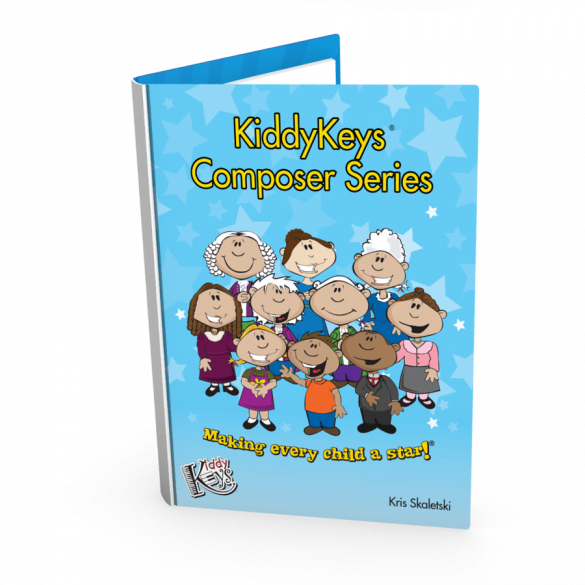 Nearly 70 tracks of songs, backing tracks for improvisation, and guided directions for gross motor activities and finger plays. Vocals are recorded on the sweetest backing tracks available. Visual tools to engage your students, featuring Johann Bach, Nannerl Mozart, Wolfgang Mozart, Ludwig van Beethoven, Fanny Mendelssohn, Clara Schumann, Amy Beach, and Scott Joplin. 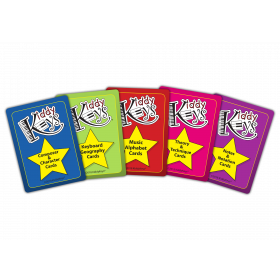 Classroom aid cards are used in tandem with lesson concepts and the KiddyKeys audio files.